THE SCENE: Ever had really awesome French toast? Crunchy yet supple slabs of thick golden brown with steam rising between its buttery layers? So yummy you even bragged to your friends about your unexpected good fortune? French toast is so simple to make yet difficult to make great. Bay Area natives Blackalicious are the musical equivalent of great French toast. After turning heads in 2000 with their independently released Nia they vaulted to a major label for their next album, the tasty Blazing Arrow. Filled to the brim with hard hipster soul, producer Chief Xcel tastefully laced the tracks with the shocking sounds of real instruments. Emcee Gift of Gab’s flow is thick like maple syrup yet speedy like a NASCAR driver, easily twice as fast as the usual rapper with four times the internal rhymes. He bobs and weaves like a sub-atomic helicopter in “Paragraph President” and rides the waves of the lazy seafaring “Blazing Arrow”. Consistently focused on spirituality and community he gets all Armageddoned-out on the mock-classical “Sky is Falling” and promotes the power of positive thinking in the soothing, organ-sprinkled “Green Light: Now Begin” (Hell of intelligent diligent heaven-sent benevolent relevant medicine/Poetry pedestrian peddelin’ mad adrenaline to lyrical gentlemen). Kids, don’t try this rap without adult supervision. You could hurt yourself. Ever had a tongue cramp? Ouch. THE FALLOUT: With a fistful of glowing reviews but a handful of sales, Blazing Arrow also suffered from the shuttering of its record label, a move which also doomed Common’s Electric Circus. 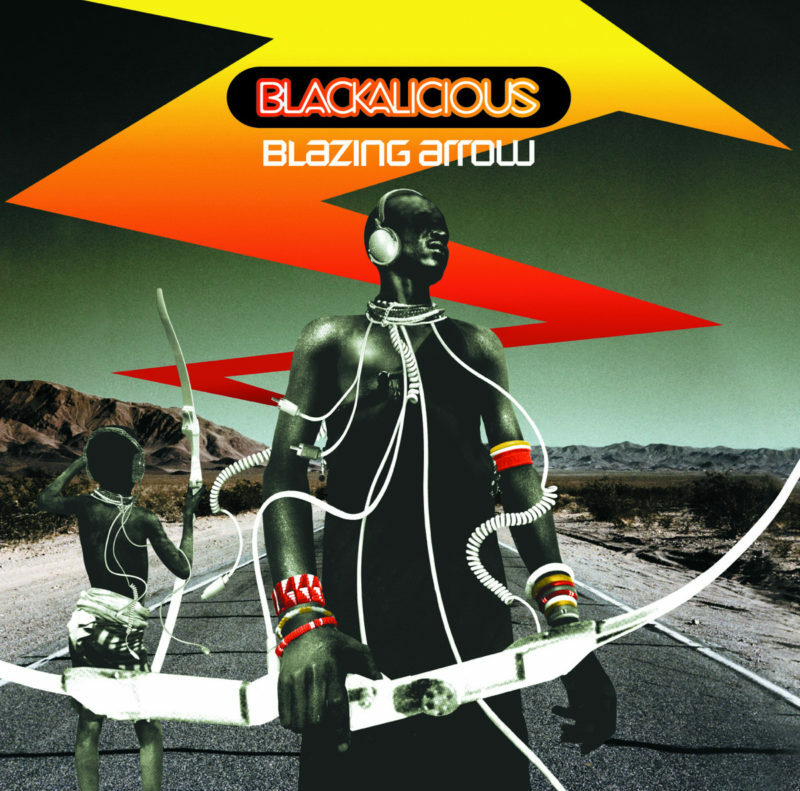 Four years later Blackalicious released their follow-up The Craft. And once again, on an independent label. And so it goes. Tasty and comforting, Blazing Arrow makes for essential nourishment. NEXT WEEK: In honor of Cinco De Mayo, listen to an unsung Latino departure album from Los Lobos.